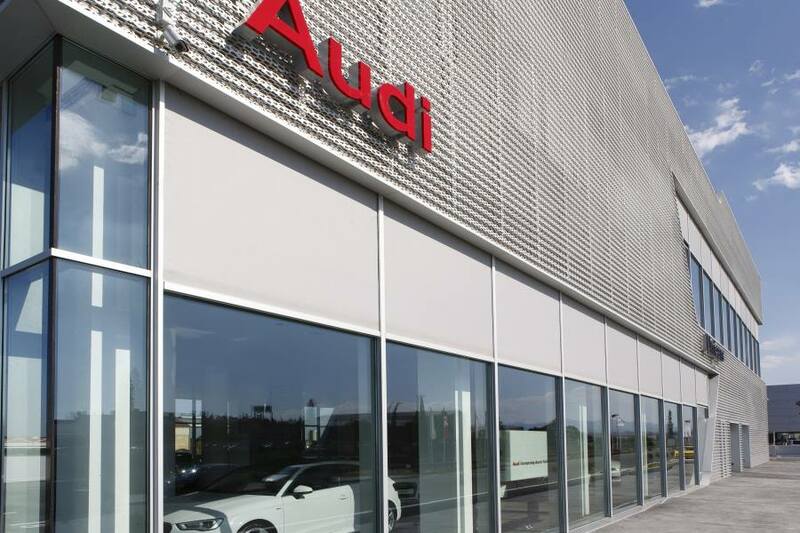 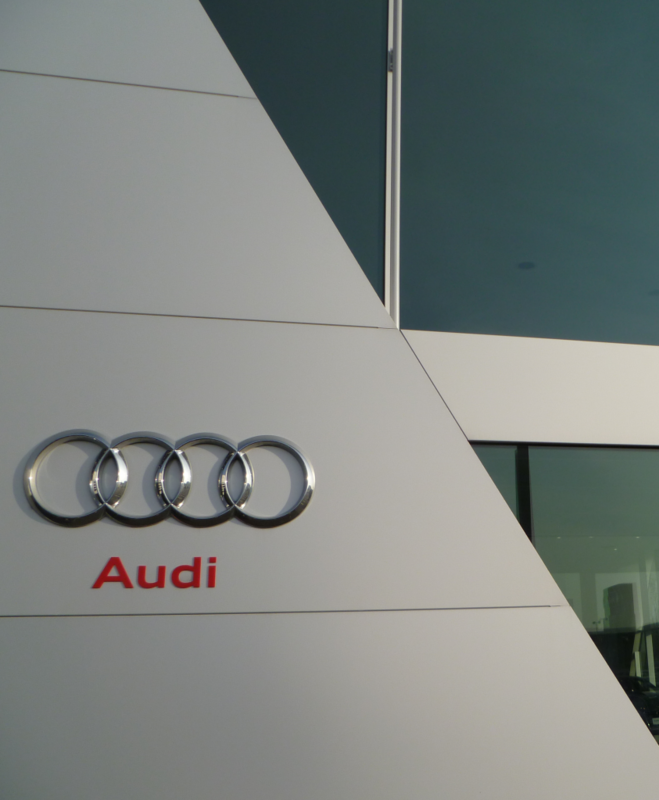 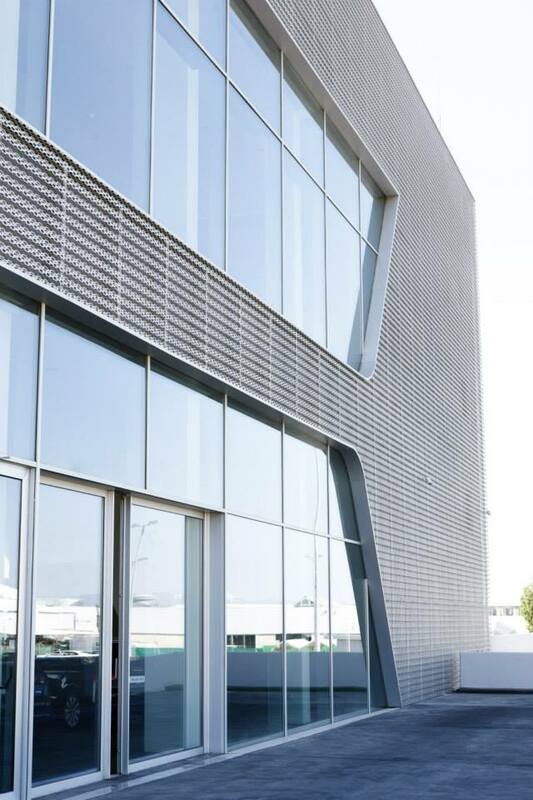 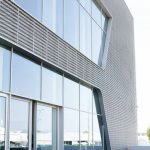 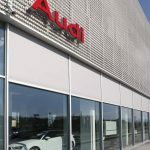 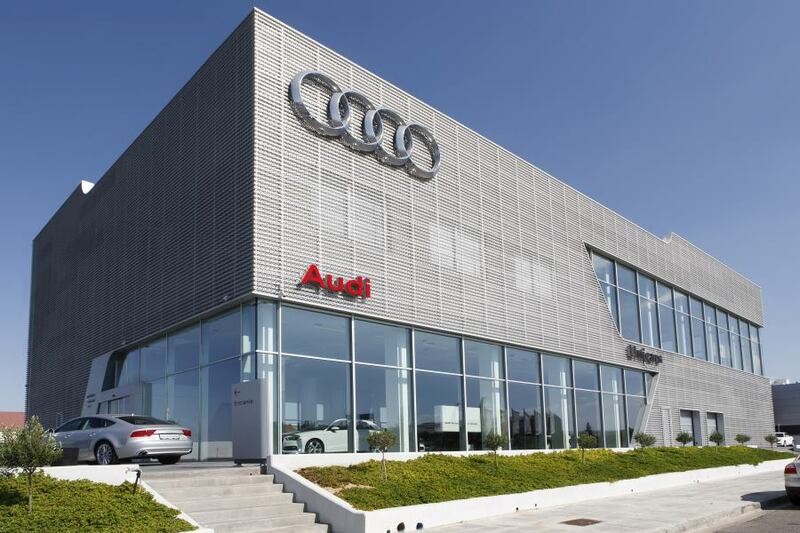 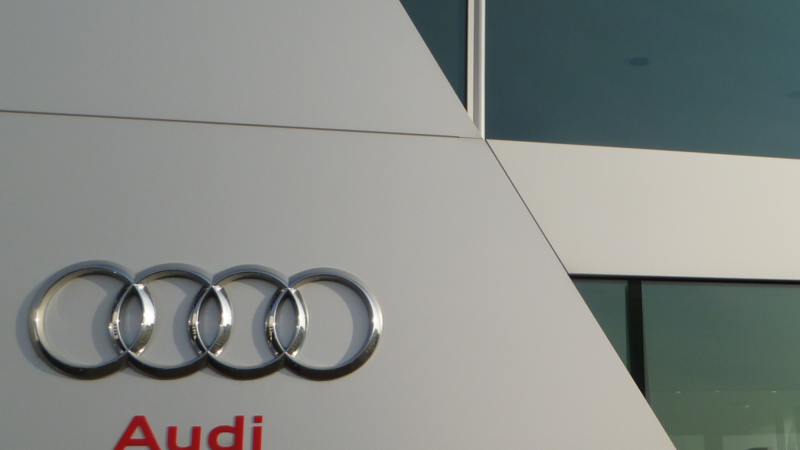 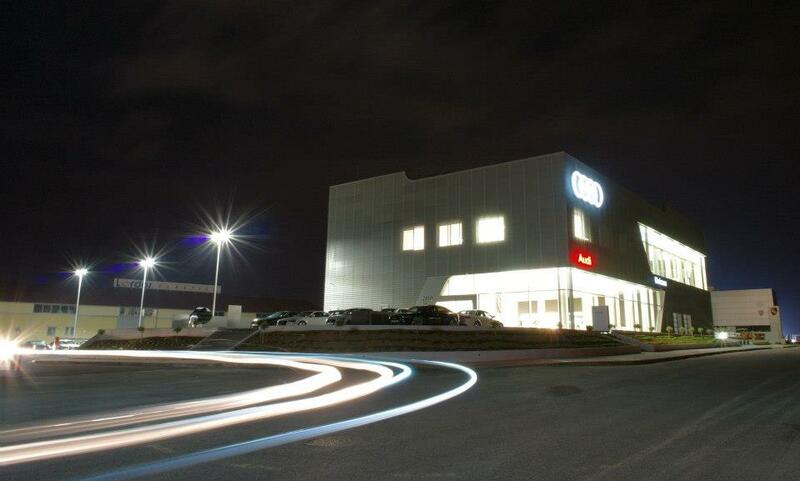 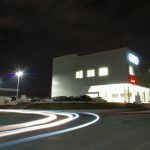 The building's special aluminium cladding design is the same concept for all Audi showrooms Worldwide. 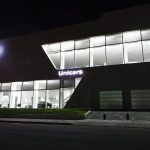 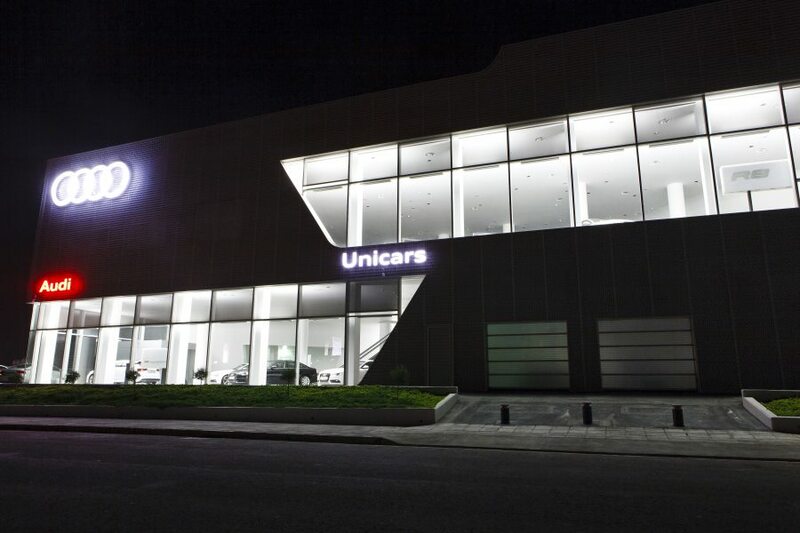 The building features the showroom and Garage facilities. 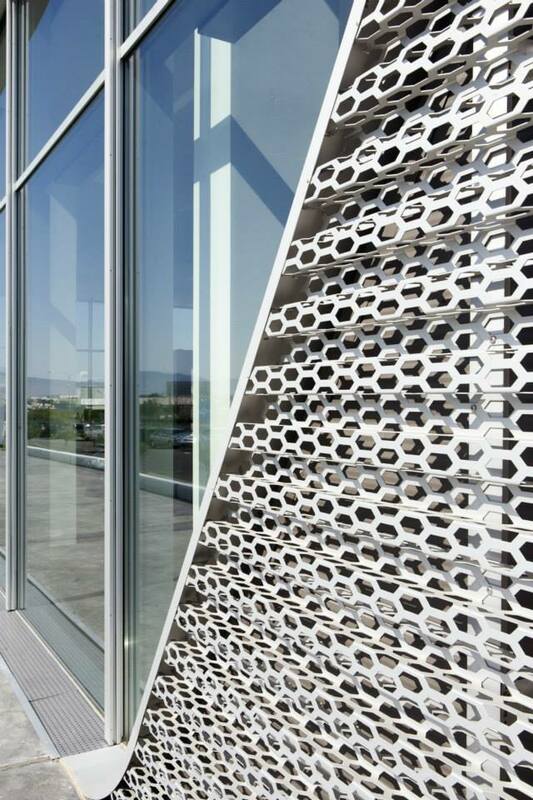 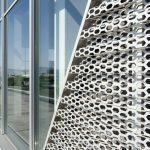 The glass facade is sun-protected by Renson Fixscreens.